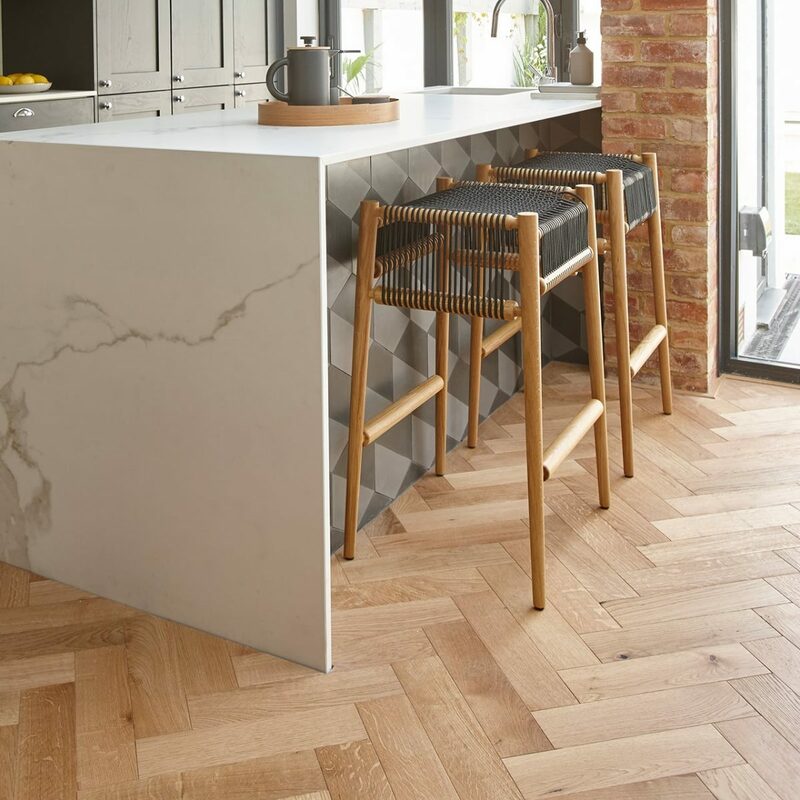 The Natural Oak wear layer is steel brushed to produce a textured surface which follows the natural grain which is sealed with a durable natural lacquer. 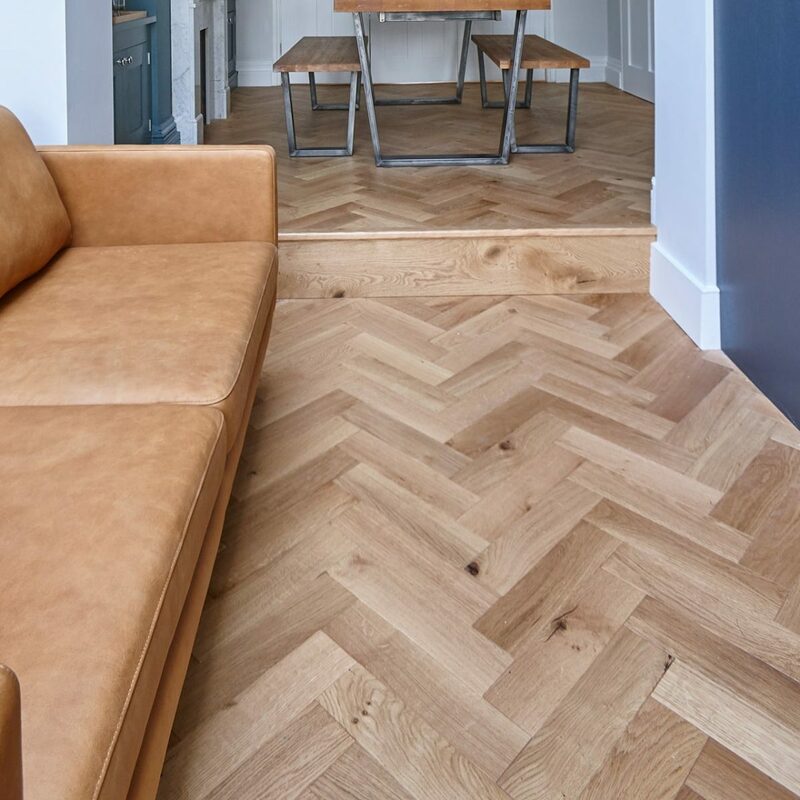 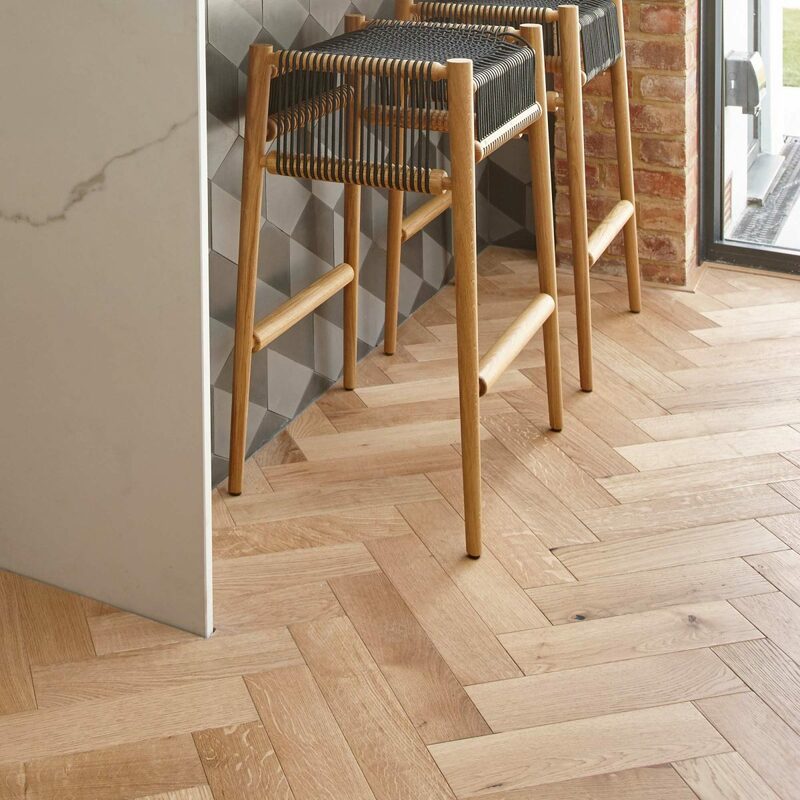 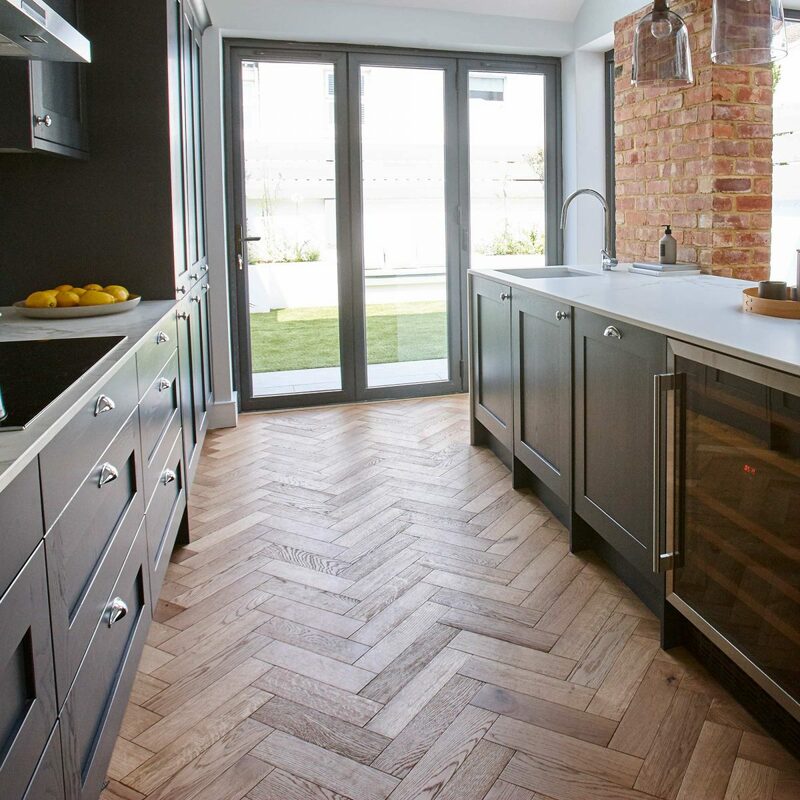 Unlike traditional parquet blocks the Zigzag range of floors are engineered with a 4 mm oak wear layer with bevelled edges bonded to a hardwood ply base, which means they can be bonded to any flat surface including over low energy underfloor heating systems. 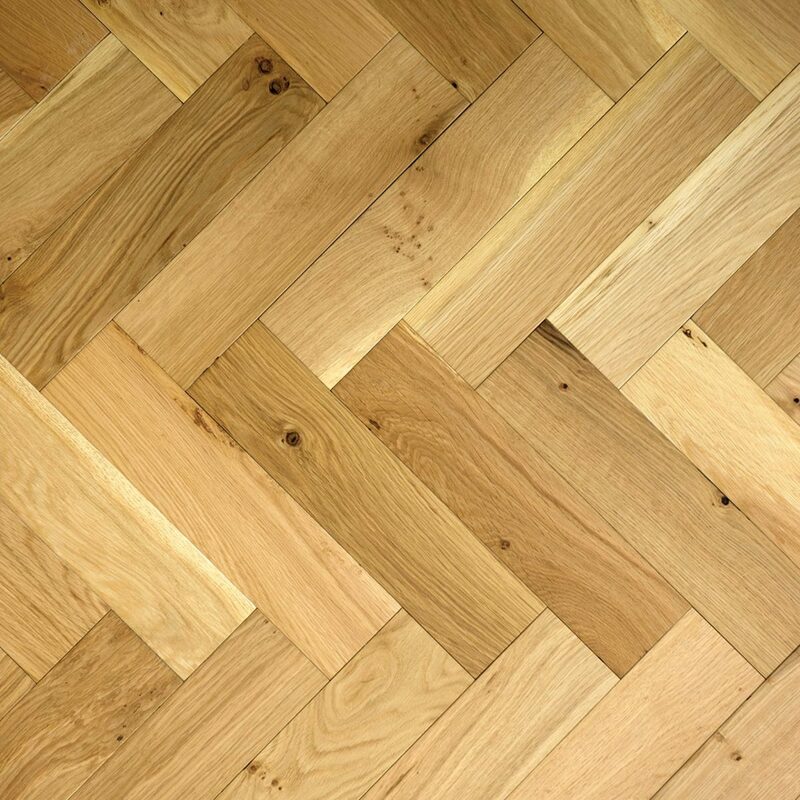 Their unique sizing means they can be installed in many different patterns.